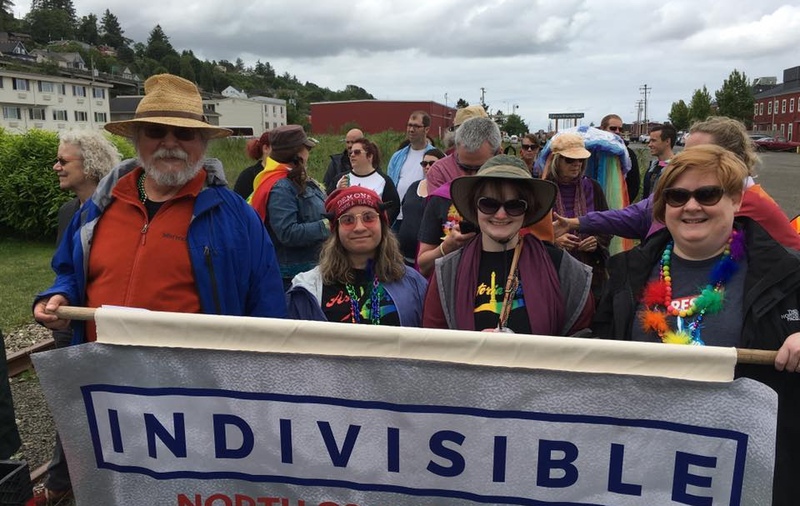 As 2017 draws to a close, Indivisible North Coast Oregon (INCO) celebrates a year of meaningful resistance. 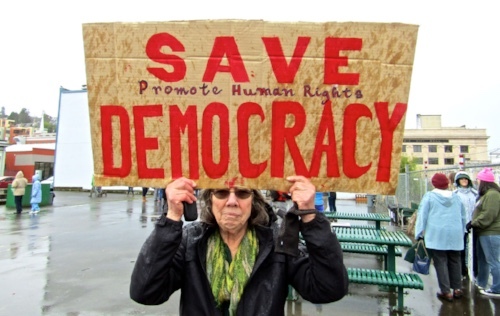 Thanks to you and hundreds of others, INCO resists and persists in defense of democracy. Inspired by the 2017 Astoria Women’s March, we’ve organized rallies and vigils. We’ve filled town halls and called our Members of Congress. We’ve met in community groups along the North Coast and the Washington Peninsula. We’ve teamed up to Oppose Bigotry and Vote the Future. Coming soon is INCO's next major event, Turn the Tide 2018 | INCO Regional Summit at the Lovell Showroom in Astoria, on January 20. We hope you'll attend this day of inspiration and activism. Everything we do is done by volunteers. Up to now, we’ve managed financially due largely to the generosity of a few individuals. We sell signs, bumper stickers, shirts, but we keep the margins on these items low so that they’re affordable. In addition to the many events we sponsor, we give out button and postcards. We’ve gotten by so far, but if we’re going to respond promptly as needs and opportunities arise going forward, we need a reliable treasury. Can we count on you to support the Turn the Tide 2018 Summit and the ongoing work of Indivisible North Coast Oregon? Your donation will help put INCO on solid financial footing so we can continue to defend democracy by opposing authoritarianism, bigotry, and corruption. If you donate $50 or more, we’d be happy to list you as a donor in our Summit Program, unless you’d prefer to remain anonymous. If you’ve donated to INCO in the past, we thank you for your support and hope you’ll consider helping out again. If you haven’t yet donated, your contribution at this critical time will do much to ensure that INCO continues to foster effective, local, grassroots activism. Thank you for your generous support! Onward!